Nearly 150 youths in the country are under the surveillance of security agencies for their alleged leanings towards dreaded terrorist group ISIS, responsible for the recent terror attacks in Paris. According to a report prepared by the intelligence agencies, the 150 people, mostly from South India, are believed to be attracted to the ISIS and sympathetic to the group's activities. "Most of them are in regular contact with some ISIS activists through online. Hence, we have kept all them under surveillance of security forces," an official privy to the development said. So far, a total of 23 Indians have gone to ISIS hold areas in Iraq-Syria to fight for the terrorist group. Of them six were killed while one returned home in Mumbai. 30 other Indians, who were radicalised by ISIS elements, were also prevented from travelling to the conflict zone in the Middle-East. Among those who are currently fighting for ISIS include two youth from Kalyan in the outskirts of Mumbai, an Australia-based Kashmiri, one youth from Telangana, one from Karnataka, one Oman-based Indian and another Singapore-based Indian. Among the six Indians, who fought alongside ISIS and got killed were three Indian Mujahideen terrorists, including Sultan Ajmer Shah and Bada Sajid, who had joined its ranks after being in Pakistan, two from Maharashtra and one from Telangana. On September 15, the UAE deported four Indians suspected to have links with ISIS. The UAE had also sent back in September a 37-year-old woman, Afsha Jabeen alias Nicky Joseph, who was allegedly involving in recruiting youths for ISIS. In January, Salman Mohiuddin of Hyderabad was arrested at Hyderabad airport when he was preparing to board a flight to Dubai on way to Syria via Turkey. In an advisory sent yesterday, the Home Ministry said the recent multiple attacks in Paris clearly indicate the intention of the outfit (ISIS) to expand the area of terror action beyond the core area of Iraq and Syria. 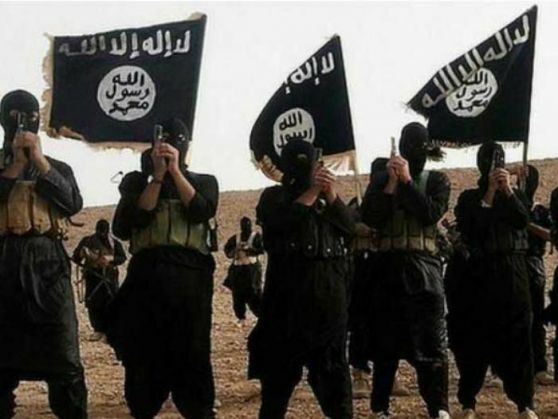 The Home Ministry said though the ISIS has not been able to establish any significant presence in India, its success in radicalising some youth, attracting certain sections of local population or Indian diaspora to physically participate in its activities or the possibility of piggy backing on terrorist groups operating in India have opened up the possibility of ISIS sponsored terrorist action on Indian territory.